Valentine’s Day is the perfect time of the year to send love to your significant others; it’s a time to appreciate the special people in your life and to pamper them with gifts and affection! After all, who doesn’t adore receiving romantic presents from their special ones on this International Day of Love? This year, it’s your time to make this day memorable. 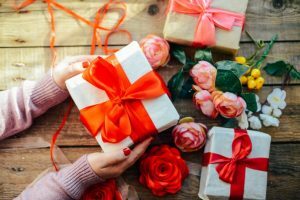 Instead of celebrating with red roses, heart-shaped chocolates and a bouquet of flowers, you can choose a much more romantic approach to gifting and celebrating, one that spells out: L O V E. Let us explain: there are many Valentine’s gift ideas on our website, but only a few of these ideas are made for the occasion of love. At this point, you may be wondering which ones and so, let’s take a look. L: If you are looking for Valentine’s gifts for her, think LIALI Jewelry; it is your girlfriend or wife’s gateway to absolute elegance and is surely going to make her shine like a star on all her big life events. 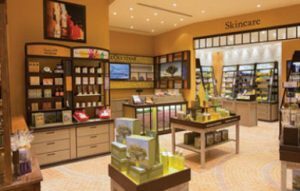 Alternatively, you may choose to get your significant other the gift of beauty from L’Occitane en Provence , with which he or she can buy amazing skincare products that will make them feel forever young and will make them look their best at all times. O: Now, what gift will mean everything to your significant other? Well, the gift of everything, of course! 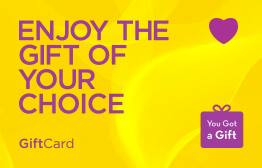 And, what we are talking about here is the Oasis Mall gift card. This card will put smiles all over and makes for a very romantic option for your partner. Another idea would be the Orange Experience from Dreamdays! This gift will allow you both to be together in an adventurous and adrenaline packed setting: how about Scuba Diving plans this Valentine’s Day? 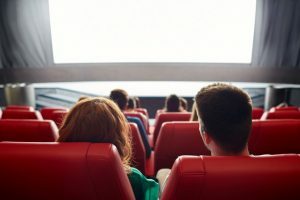 V: Valentine’s Day Gifts can also be a perfect occasion for spending time together, and what better way to do this than by gifting each other an eGift card from Vox Cinemas? That way, you can enjoy some quality time together while enjoying the top blockbuster movies and some delicious popcorn. E: Ladies! Do you need a loving and thoughtful gift for your man? 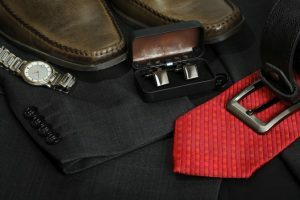 Our website has several options for Valentines Gifts for him. One of them is a great gift card from Eden Park, with which your partner can buy super stylish apparel for your big Valentine’s night. Never let your man go out of style again with this unique online gift voucher, especially designed for the gentlemen. Put it all together and what do you get? L O V E! And that’s what we are celebrating here with our Valentines Day gifts! We are hoping you can do the same with your significant other on this very special day. The options mentioned above are only some of the possibilities available on our website. Forget about the roses, the chocolates and the teddy bear this year! Just take a look and you will soon find yourself holding the gift your partner will love. If you happened to forget about this important date, then don’t worry either because with our easy online gifting platform, you can purchase gifts at any time and any place, all at the click of a button and in under three minutes. Sometimes, words can’t describe your love to your partner, which is why we have a list of romantic, thoughtful and dreamy gifts that will do the job just perfectly. We wish you all a Happy Valentine’s Day, and may you and your partner spend many more days together, all filled with love, respect and affection. This entry was posted in Valentine Gifts, Romantic Gifts, YouGotaGift.com and tagged Valentine Gift Ideas, Valentine Gifts Dubai, Valentine Gift Ideas in Dubai on January 30, 2017 by Maria Najjar.